Registration is $795 for the first person and $695 for each additional participant. The seminar will be 8:30 - 4:30 p.m. on Friday. Registration will include continental breakfast & lunch. All participants will receive a registration planning package along with a workbook at the seminar.  For additional information, feel free to Charlene at (757) 456-0555 or info@charlenewhite.com! How to overcome the biggest TC and doctor mistakes that lower case acceptance. How to accurately track your case acceptance. Learn how to ask for the “start” effectively. Learn what motivates people to make decisions and say “yes” to accepting treatment. How being persuasive versus informative leads to starts. Overcome the #1 reason patients do not start treatment in your office. Unique ways to communicate with the decision makers who do not come to the exam. Major secrets which enhance the doctor’s exam. How to create financial arrangements that lead to high case acceptance. Make co-payment insurance work for you, not against you. Set up a recall system that will result in 85% rate effectiveness. Create an effective pending patient follow-up system. Learn how to increase internal referrals. “Scripting” tips that get results. Target key areas that need focus by completing Charlene’s “Self Analysis” questionnaire and marketing preparation forms. Create a powerful marketing plan that encompasses patients, parents, referring teams, schools, community, and your team. Take home specific marketing tips that you can implement right way.